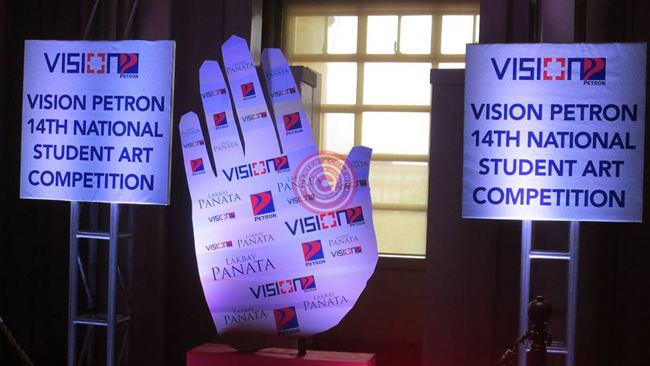 At its 14th year, Vision Petron 14th National Student Art Competition once again recognized young artists in this year’s theme ‘Lakbay Panata (My Journey, My Pledge) in National Museum, October 9, 2014. Swarmed with 2,827 entries from 105 schools and museums, one of the most prestigious art competition in the Philippines for the youth, Vision Petron considers that this year as their biggest competition so far. Petron is committed to support young artist and by partnering with the youth, they share visions of enriched heritage of the country. Lakbay Panata is a theme that is very timely, as each student who had passed an entry rekindled their pledge not only to their family but also to themselves. As Vision Petron encourages the youth to express themselves in the different artforms, the judges were amazed on how students had expressed themselves in various ways in personal levels. According to photography judge and PATA Gold Awardee for Best Travel Photo, George Tapan, students had expressed the meaning of pledge in their lives. Mr. Raymond Red, video-making judge and Palme d’Or Awardee at 2000 Cannes Film Festival said that the entries are very personal. It is a story telling of their journey for a brighter future. 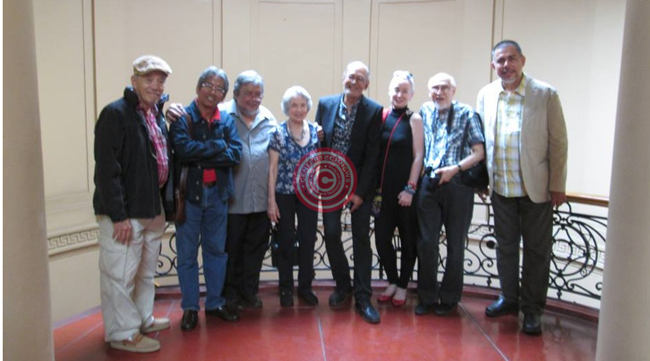 Painting category judge since the start of Vision Petron and award-winning writer of Philippine history and culture, Felice Sta. Maria, explained that ‘pangako’ mean promise but ‘panata’ means vow and is a strong word dedicating one’s self to something holy. Often, a vow becomes a lifetime promise of action done in thanksgiving or to win what is wished for. Vision Petron recognizes that with a simple step of vow, with a single action, all can move the country for the better future. Runners Up and Grand Prize winners were recognized in five different categories: Painting- Oil/Acrylic, Painting- Water Based Media, T-Shirt Art Design, Photography and Video-Making. Titus Ira Adayon ‘Kabataan, Karunungan, Kalikasan’- John B. Lacson Memorial Foundation Maritime University- Arevalo. John Cristian Guevarra ‘Sapa’- John B. Lacson Memorial Foundation Maritime University- Arevalo. Vision Petron. 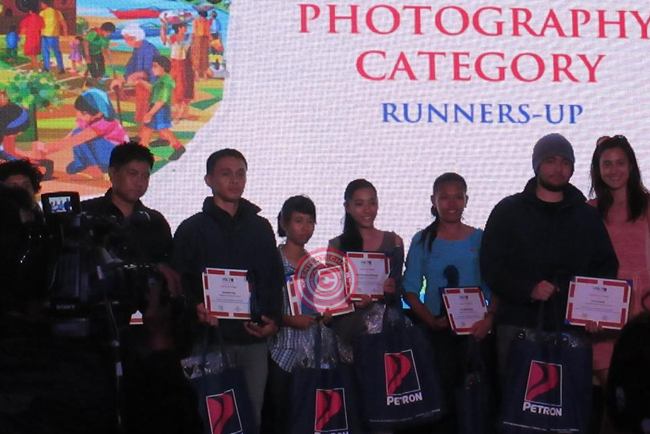 Next year would be the 15th year of Vision Petron and this years winner had set the bar higher for the 2015 competition.